A classy restaurant and bar can utilize this tasteful menu as an elegant display of cuisine options. The large circular elements highlight drink prices while food options sit subtly below. 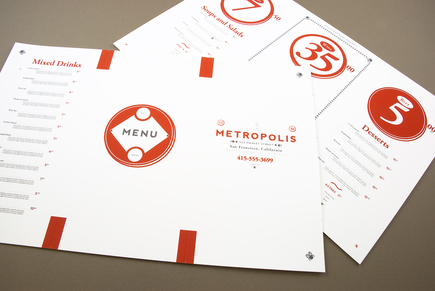 The light corner and border adornment adds an elegant touch to this refined menu.